Sumba Island has been renowned for its beautiful landscape and magnificent views. Located within East Nusa Tenggara Province, it has the perfect ambiance for those who love outdoor destinations. There are two main parts of Sumba, the west part and east part, although the more popular destinations are situated in the west part of the island. The low landscape of the island offers a bunch of natural attractions to spoil the eyes, from lakes to beaches, hills to savannahs, as well as traditional villages with unique cultures and resorts, can be found in Sumba. There are two airports in Sumba, Umbu Mehang Kunda in Waingapu or known as Waingapu Airport in East Sumba and Tambolaka Airport in Southwest Sumba. Many airlines fly to Sumba such as Garuda Indonesia, Sriwijaya Air, and Lion Air. However, there are only two direct flights to Sumba which are from Denpasar (Bali) and Kupang (East Nusa Tenggara) currently. In that case, every flight from neither of these cities shall transit in Bali or Kupang before reaching Waingapu or Tambolaka if you fly with Garuda. If you take flight from Jakarta (Soekarno Hatta International Airport), you will need to transit in Ngurah Rai Airport Bali for 45 minutes, then continue your flight to Tambolaka for 1.5 hours. The total duration of the flight will take about 5 hours from Jakarta to Sumba. Designated as the World’s Best Private Hotel in 2016 by Travel + Leisure, Nihiwatu truly deserves this title. Reside in Wanukaka, Nihiwatu offers a wide range of activities to escape yourself from the daily routine. This resort immerses active adventures such as scuba diving, waterfall hikes, snorkeling, surfing in the most famous Occy’s Left with relaxation. The award-winning resort offers not only one, but three professional treetop spa options to satisfy your body. Its luxurious accommodations are built amidst breathtaking landscapes in the area. It would delight your journey through rice fields, grassland, and private white sandy beach. 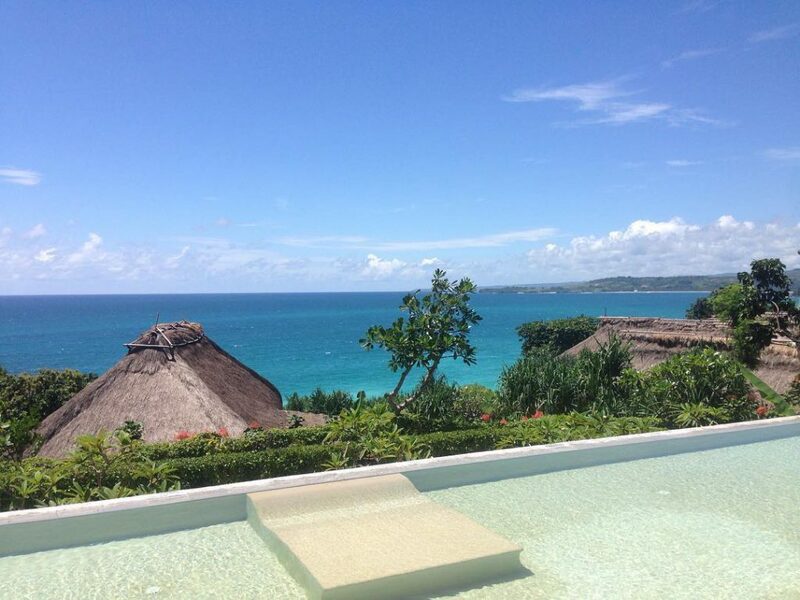 You can also enjoy infinity pool facing the Nihiwatu coastline or the Indian Ocean to your liking. The most prominent trait that Nihiwatu could offer is the personal journey to develop the surrounding villages through social responsibility programs. Visiting the locals, getting involved with them to learn the cultures are hard to forget experiences. 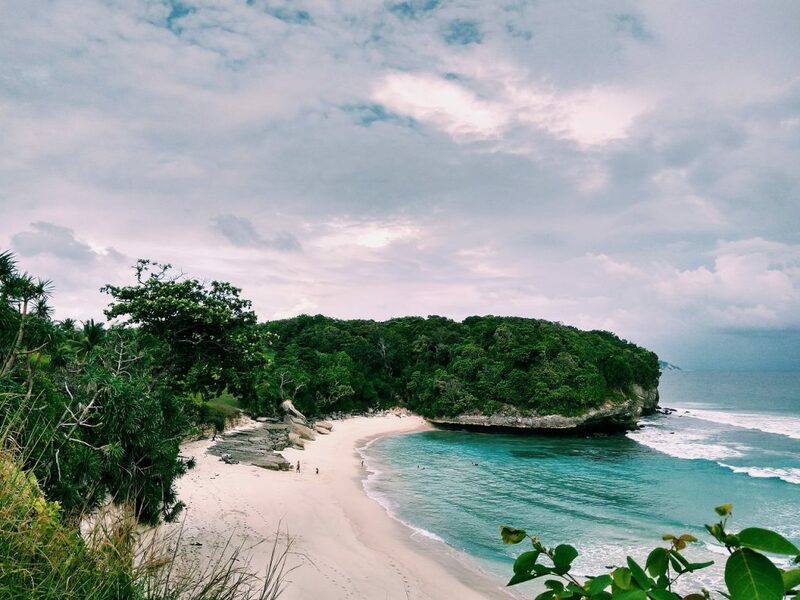 Sumba Island has many beaches that you don’t want to miss during your visit to the island. The beaches in Sumba are heavens for surfers. It has the magnificent endless sea as far as the eye can see, perfect waves for surfers, and the glorious sunset. Many beaches are still empty or devoid of tourism which can be a great advantage for a more adventurous journey. Some of the beaches you can visit are Walakiri Beach, Mandorak Beach, Mananga Aba Beach, and a dozen more. Walakiri Beach is an easy-to-reach destination, located about 24 km (30 minutes) from the city, the beach can be reached by motorcycle or car. It has white sand and slopes landscape, along with mangroves along the coastline. The picturesque scenery of mangrove trees burning in the sunset would surely make worth of journey and photograph to take home. Mandorak beach is another sunset-watching destination you can’t miss during your trip to Sumba. Resides near Waingapu City in Kalena Rongo District, it’s another easy-to-go-to destination using any vehicle. There are several activities you can do in Mandorak, such as water sport, relaxing, and sightseeing. The beach isn’t too big, the waves are weak, and the water is crystal clear that you and even your kids could see coral underneath the calm water. The nuance of this beach is perfect for those who search for tranquility and looking for a honeymoon spot with your loved one. Weekuri Lake is a promising destination in Sumba Island. Located near Mandorak, it’s famous for its salted and mirror-like water. The lake is separated from the ocean by the cliffs and water constantly flowing in and out of the lake through holes underneath the rocks from the sea. Thus, you are presented with two stunning views, the blueish ocean, and the turquoise-colored water lake. 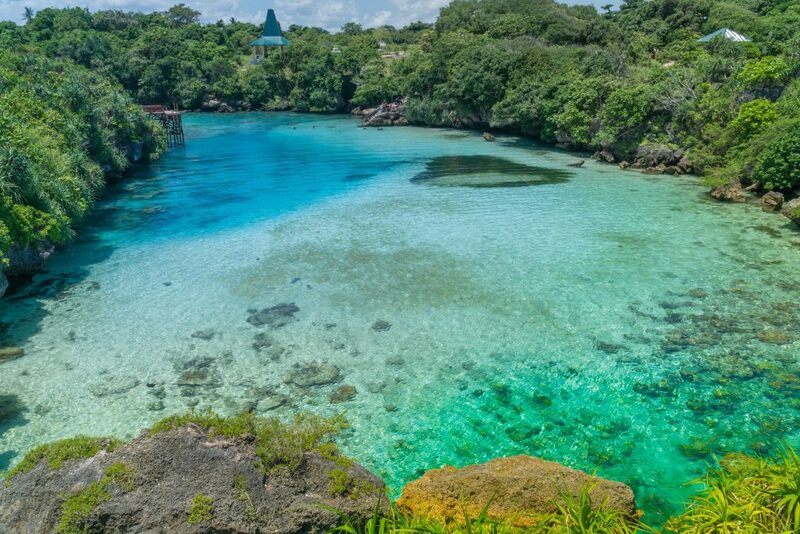 It is not too deep so you can swim around the lake and underneath the water, you may find fishes, corals, and crustaceans. Surrounding the are the cliffs and grassland above it where you can savor burning sun sets into the ocean. On the cliffs, if you’re lucky, you can also watch dolphins jumping around the ocean and turtles hatching eggs in the sand during mornings. People in Sumba villages are still living in the ancient way of life amidst modernization throughout the world. Spread around the island, traditional villages sit on a hilltop or by the sea and its center of life are the megalithic tombs. The ancient cultures are demonstrated through handicraft such as ikat, hand-spun and naturally dyed weaving passed through many generations especially the women. You also don’t want to miss out cultural performances held by the villages people such as Pasola Festival, an ancient tradition to reminisce ancient tribal conflicts using spears. Before going to Sumba Island, it is better for you to do research on your destinations, where it is located and how to get there. Consider the destinations before choosing your flight to land in Waingapu or Tambolaka. Transportation in Sumba is quite limited but no need to worry, you can rent car or motorcycle available on the island. You may also need to prepare for a bit of trekking to reach certain destinations such as hill and waterfall. The road could be slippery sometimes and requiring a fit condition to prevent any accidents. Preparing sufficient cash is a must. The living accommodation is considered a bit high and you may find it difficult to find ATM all around Sumba. Many places in Sumba Island are still remote and sometimes isolated, so you may expect a difficult network connection during your stay in Sumba Island.